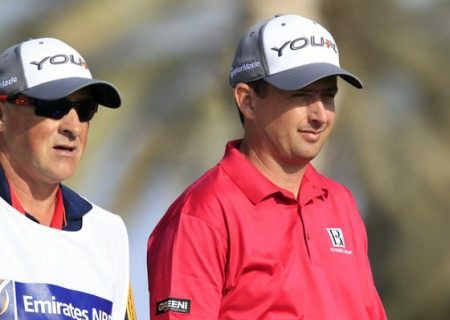 The 38-year old Dubliner - frustrated by mediocre putting last year - was at a low ebb heading to Verdura Golf Resort & Spa after missing his fourth cut from six starts this season at the Trophée Hassan II. After opening with a 69 and then opening with two birdies in his first three holes in the second round, he came back to the course on Saturday and had a nightmare. “I got it to four, maybe five under [last week] and then played 12 holes in six-over on Saturday morning. I walked off the golf course devastated, I really did. Lawrie hit 16 greens and still had just 26 putts as he raced to the turn in five under 31 and then picked up another four birdies on the journey home with his only bogey coming, ironically, at the 13th. Asked by Sky Sports what was the key to his turnaround, he hinted that it had more to do with pride than anything else. Scoring was red-hot at the new, links-style course designed by Kyle Phillips with 90 players in the 144-man field breaking par. After opening with an over par round in three of his first five events, Lowry was chuffed with his five under 67 as Gareth Maybin shot 68, Simon Thornton 69 and Paul McGinley and sponsor’s invitee Gary Murphy managed 71’s. 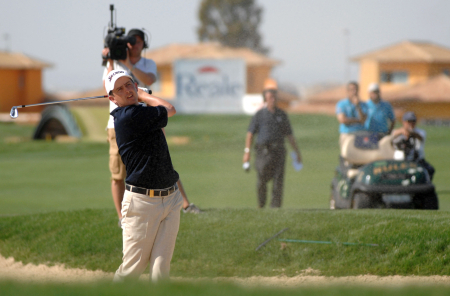 A resort course with little rough to trouble players off the tee, it suits Lawrie’s eye as he bids to add to his solitary European Tour win at the Spanish Open four years ago. “It’s beautiful,” Lawrie said. “Forgiving off the tee, I have to admit, but the design is very good. There’s a good bit of run on the fairways, which gives us short-hitters a good chance out there. “I love playing Kingsbarns so, yes, Kyle Phillips would be a designer I like. Lawrie got up and down to save his par but what really pleased him about the day was his putting. “I putted beautifully, especially on the front nine,” he said. “I holed two 20 footers in a row, and I didn’t hole a single 20 footer for the entire season last year! For a man making his 287th European Tour appearance, there is no need to tell Lawrie that there is a long way to go. Lowry is as keen as Lawrie to get his second European Tour win and believes he’s certainly playing well enough to challenge for it this week and then celebrate his 25th birthday in style on Monday. “The only thing that’s been missing over the last few weeks has been a fast start, and I’ve managed to get off to a good one today,” Lowry said after finishing his day with a hat-trick of birdies on the front nine. Cautious when asked if a win felt close, he said: “You can never really afford to think like that, because there are so many really good golfers out here on the Tour. Starting on the 10th, Lowry birdied the 11th, bogeyed the par-three 12th but then eagled the 523 yard 13th before a bogey at the last saw him turn in two under. Six pars in a row followed before he finished with a flourish with three birdies in a row. Playing in just his third full season on the tour, Lowry has slowly built up a head of steam this year. After missing the cut in Abu Dhabi and Qatar, he was 66th in Dubai, 17th in the Andalucia Open and seventh behind Michael Hoey in Morocco last week. Peter Lawrie produced a stunning homeward nine of 30 as he blasted a seven-under par 64 to move into contention for his second tour win in the Castelló Masters. Peter Lawrie in action in Barcelona. 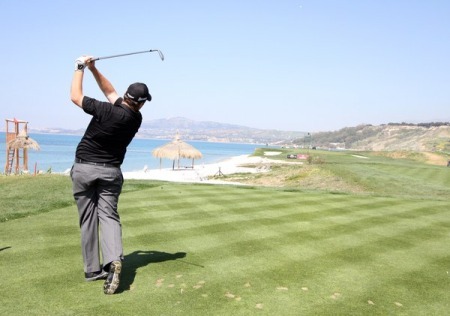 Credit: www.golffile.iePeter Lawrie and Shane Lowry kept surprise leader Scott Jamieson in their sights as they made positive starts in the Spanish Open at Real Club de Golf El Prat near Barcelona. 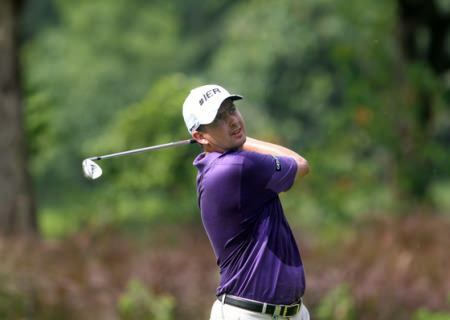 Steady Lawrie, seeking just his second tour victory following his maiden win in this event in 2008, recovered from a bogey six at his opening hole and putted well from short range to fire five birdies in a four under 68 that left him two off the lead in a share of sixth. Lowry finished like a train after a slow start, rattling off five birdies in his final six holes for a three under 69. Peter Lawrie made a positive start to the BMW International Open. Credit: www.golffile.ieNew dad Peter Lawrie made a positive return to European Tour action in rain-lashed Munich following the birth of his fourth child - and first son - near a month ago. As Henrik Stenson followed his heartening US Open performance by opening with an eight under par 64 to lead the BMW International Open, Lawrie had seven birdies in a three under 69 that was good enough to lead the Irish challenge.